At Parlour 9 we take pride in you looking and feeling your best! All of our precision haircuts start with a relaxing shampoo & condition, and then follow with a finished style, using our professional UNITE Hair Care products. We proudly offer All-Nutrient Hair Color, which uses the healthiest, most natural ingredients known to exist, nurturing each strand with the nutrients it needs and none of the chemicals it doesn’t. From the roots of the Amazon Rain Forest to the roots of your hair, it is the perfect solution for today’s organic, green and Gluten Free demands. From Deep Conditioners to Smoothing Treatments, we can keep your hair in great condition and help with any specialty needs your hair requires. Please refer to our Extensions tab for a better understanding on the different types of extensions that we offer. Come in, relax and get pampered with our natural nail services. We use our exclusive Farmhouse Fresh products in all of our manicures and pedicures. Love the smell and feel of them? Your in luck, we retail everything we use so you can continue your experience at home! We also offer Gelish and Shallac gel polish to extend the life of your manicure! Give your hands a quick pick me up! Your nails will be trimmed and shaped, and your cuticles detailed.. You will finish with a hand and arm massage, using a seasonally scented Farmhouse Fresh lotion, and a polish application. Get long-lasting results with gel polish. Your nails will be shaped and buffed,and your cuticles detailed. Your nails with be finished with 4 layer UV-light polish application and a light hand massage with one of our Farmhouse Fresh Hand Cremes. This is our ultra-pampering pedicure using our Farmhouse Fresh product line! This pedicure starts off with a warm, softening foot soak. Next your nails will be trimmed and shaped, your cuticles detailed, and feet buffed smooth. A Sugar or Salt Scrub will be used next for added exfoliation. Then a mask that is tailored for the season, is applied before wrapping your feet in luxurious hot towels. Next up is an extended foot and lower leg massage. Your service will be completed with a polish application. Give your feet and toes a quick pick me up! This pedicure starts off with a warm, softening foot soak. Next your nails will be trimmed and shaped, your cuticles detailed, and feet buffed smooth. You will finish with our Farmhouse Fresh Honey Heel Glaze and a seasonally scented Farmhouse Fresh lotion. Your service will be completed with a polish application. Give your hands a quick pick me up! Your nails will be trimmed and shaped, and your cuticles detailed. Your service will be completed with a hand and arm massage, using a seasonally scented Farmhouse Fresh lotion, not too frilly for our Gentleman! Give your feet and toes a quick pick me up! This pedicure starts off with a warm, softening foot soak. Next your nails will be trimmed and shaped, your cuticles detailed, and feet buffed smooth. Your feet will then be soaked in our Farmhouse Fresh Honey Heel Glaze, and completed with a foot and leg massage using a seasonally scented Farmhouse Fresh lotion that is not too frilly for our Gentleman. Release your stress and tension with a muscle melting massage. All of Our Parlour 9 massages are customized to fit your individual needs. From Swedish and Deep Tissue to utilizing Reiki , our therapists will keep you coming back for more! Parlour 9 is PROUD to be an EXCLUSIVE Farmhouse Fresh Partner Spa! Offering exquisite body and skincare treatments that will have your senses delighted. Each product is made up to 99.6% natural, they are free of parabens, sulfates, and mineral oils. With high performance formulations that will address all of your skincare needs. A wholesome, skin-renewing facial that brings you healthy glowing skin. 60 minutes of pure bliss! Indulge in complete relaxation with this custom tailored facial that includes a soothing acupressure facial massage that will melt away facial tension. dewy, youthful complexion, and you’re clear for a radiant arrival. Ask us what our featured Seasonal Facial is when you call to book your appointment. 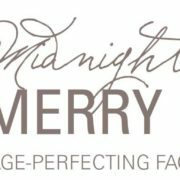 We cater this facial to change with the seasons so that it is perfectly tailored for what your skin needs during all the different seasonal changes. We know you will leave feeling relaxed and rejuvenated! Have your skin feeling as smooth as Kentucky Bourbon! This targeted treatment is designed just for men’s skincare needs. This is for NEW Acne Clients that have not been seen by Tasha before. This is an hour and a half appointment. 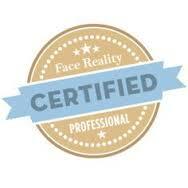 Please refer to our Face Reality Page for more information about this service. This is for NEW Face Reality Acne clinets that have not previously seen Tasha. Please refer to our Face Reality Page for more information. This is for EXISTING Acne clients, and not intended for new guests. This is a management appointment for those clients currently under the direction of our Face Reality Acne Specialist Tasha. This is a 45 minute appointment. From eyebrows, to legs, we offer full body waxing. Please refer to our Extensions tab for more information about this amazing service.